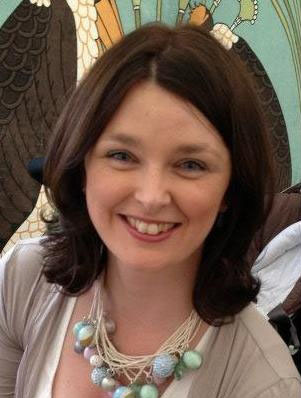 Irish writer and mammy of two, Aiveen Cooper, is a busy girl. Having studied zoology at Dublin’s Trinity College, the Kildare native went on to work with the Royal Irish Academy, where she wrote articles for Heritage Outlook and Wild Ireland. Her editor there, in search of a piece about Ireland’s longest river, The Shannon, contacted her to pen the feature. When completed, it was spotted by a publisher, who felt that it could be further developed into a book, with Aiveen being the one to write it. Despite having had a new baby at the time, as well as a full-time job and her commencement of a part time MSc course, she ambitiously set out to write; ‘The River Shannon: A Journey Down Ireland’s Longest River’. Traveling the length of the river, from its source in the Cuilcagh Mountains, to its entry into the Atlantic Ocean, passing through eighteen counties, over a dozen lakes, and historic towns like Drumshanbo, Athlone, Shannonbridge, Portumna, Castleconnell and Limerick, she spoke with locals and researched her history to find tales of Viking raids and Napoleonic adventures, as well as important information about power generation, tourism and transportation. With over 250 beautifully-illustrated pages about the story of ‘Shannonland, the book is a must-have for anyone interested in Ireland’s historical landscape as well as its globally-renowned natural beauty. Aiveen, welcome to ‘At The Mike Stand’. ‘The River Shannon: A Journey Down Ireland’s Longest River’, Aiveen’s beautifully photographed, incredibly informative story about the longest river in Ireland and Britain, is available to buy at Amazon.co.uk. This morning, and every morning thanks to my 3-year-old son Danny. None really, sport isn’t my thing, Ireland in the rugby at a push. Seeing as Middle Earth probably doesn’t count then Ancient Egypt (not as a slave though). Any – I have no musical talents at all! Anyone associated with the child abuse scandal in the Catholic Church. The 80’s – my youth. 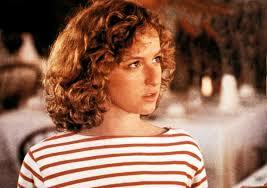 Baby in ‘Dirty Dancing’ (mainly so I could dance with Patrick Swayze). Nobody puts Aiveen in the corner? Baby from ‘Dirty Dancing’, The role Aiveen would’ve liked to have played. Who’s the greatest movie star of all time? Brendan Gleeson or Robin Williams. Sophie Ellis-Bextor, or is that Aiveen Kemp? Not sure if it is officially a Christmas song but Frankie Goes to Hollywood’s ‘The Power of Love’. Keith Richards – He is a medical miracle. ‘The Hobbit’ – the first proper book I ever read and what made me think of being a writer. What artists would be in your supergroup? Freddie Mercury on vocals, Sting on bass, Dave Grohl on drums, Slash on guitar. A touch of Carrie Bradshaw (the writer side), a pinch of Max from ‘Two Broke Girls’ (for her cynicism), a little bit of Monica (‘Friends’) and a sprinkling of Vivian from The Young Ones. Any of the 1980s greats – ‘Back to the Future’, ‘Ghostbusters’, ‘The Goonies’. It is great to be able to watch them again with my own kids. What character from literature is most like you? Bridget Jones keeps springing to mind but I always fancied myself as Lady Arwen in ‘Lord of the Rings’. The iPhone – it is ruining the world with antisocialism. Billy Connolly – He’s the only comedian who made me cry with laughter. Not sure I have any! Alice Cooper!! 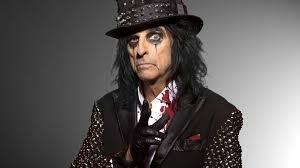 Aiveen’s namesake, Mr. Alice Cooper. ← Things Not to Say to an Irish Bartender in NYC (and the responses you might receive). Part 1.